A Secret Asian Herb. That Will Change Your Cooking. Let’s Cook with Lemongrass. The Lemongrass Cookbook is a cookbook for people who love to cook with herbs and spices. You will find over 50 delicious recipes spread throughout one rich cookbook. Where each recipe is a deep exploration into a particular way of cooking with lemongrass. Lemongrass is an Asian herb used and loved in Thailand, Indonesia, and many other southeast asian countries. Lemongrass is also used for its medicinal benefits in India. When you cook with lemongrass you will discover a very light and enjoyable citrus taste. This cookbook presents an innovative style of asian fusion cooking that is unmatched. 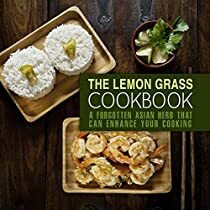 If you are interested in learning unique ways of cooking with lemongrass these recipes will appease your heart. Again remember these recipes are unique so be ready to try some new things. Also remember that the style of cooking used in this cookbook is effortless. So even though the meals will be unique and great tasting, creating them will take minimal effort!